Close-up of the animated dinosaur data display. Yes, the heartbeat is animated. The animation, below, doesn’t clearly show the incredibly cool neatness of the the new animated dinosaur data displays (due to YouTube compression). Here you can clearly see the display and animated heartbeat / pulse. 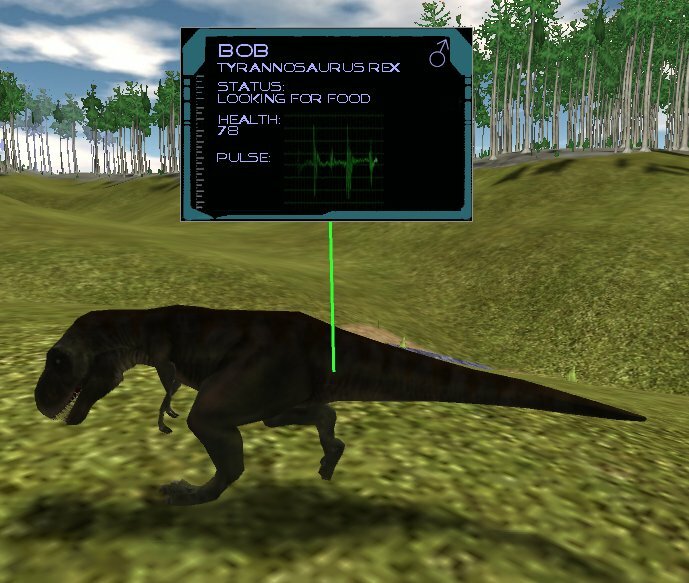 Now uploaded: the new dinosaur data display with animated pulse and heartbeat! Click on the above image to see the animation.